Great location for relaxing holiday with hotels and beaches a short distance away. Helpful and friendly staff. Private territory. Very quiet. Nice pool. Very helpful host. 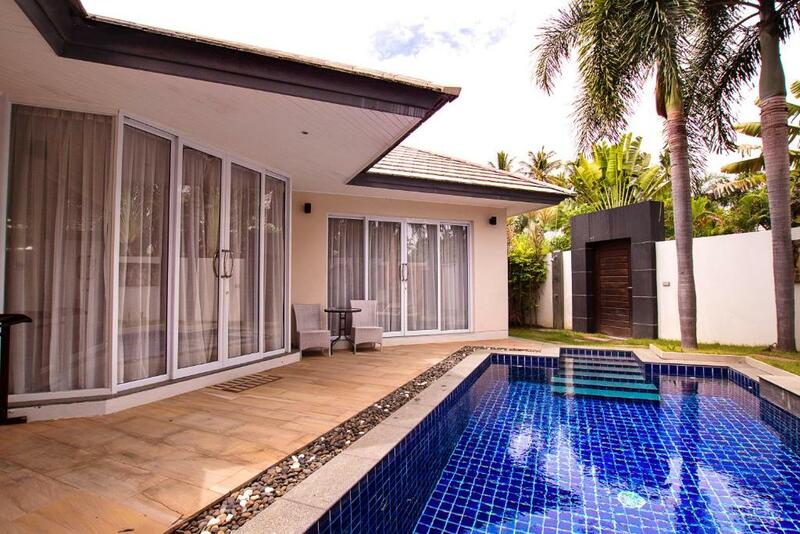 Big, comfortable luxury villa with big swimming pool. Quiet environment close to two relaxing beaches. Friendly hosts and excellent service. Very close to the ferry boat. Excellent restaurants nearby and a Family supermarket in walking distance. 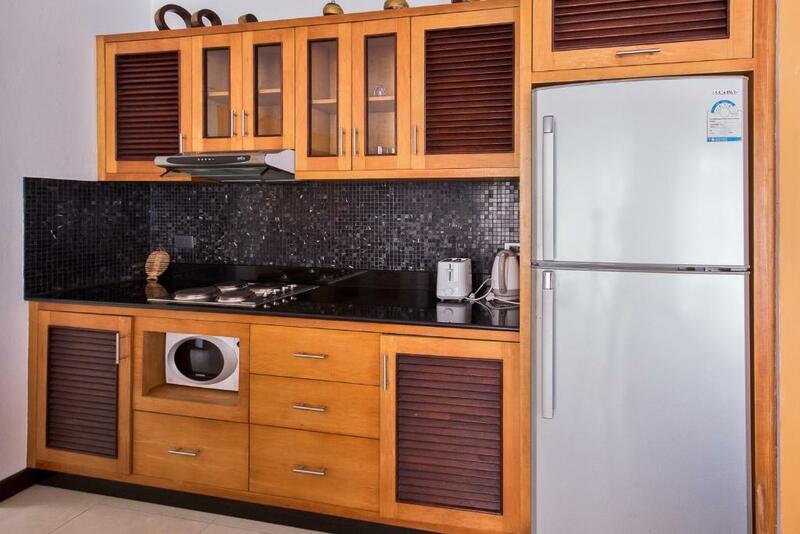 This is a beautiful villa with spacious rooms, comfy furniture and lovely fixtures and fittings. There was a big pool and a beautiful garden. And the beach is a short walk and a beautiful place to watch the sunset. This place was excellent for a relaxing getaway. 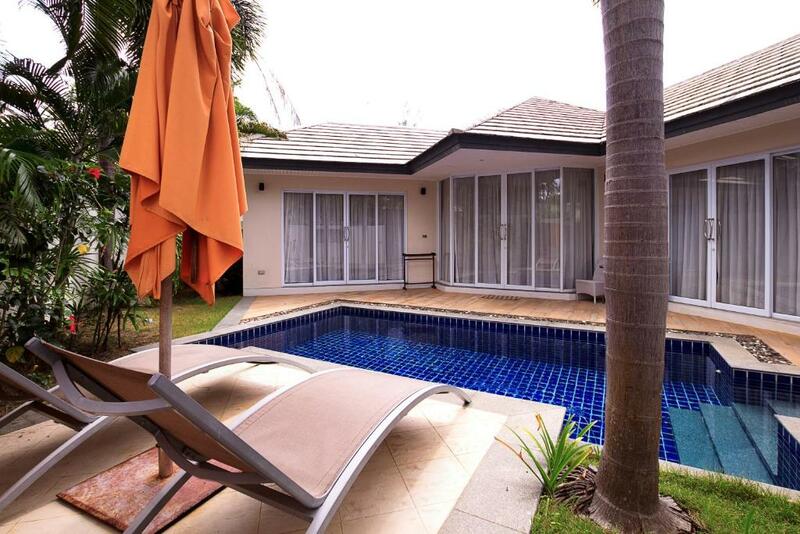 The villa and pool were is great condition and were clean. The area around the villa is very quiet but it easy enough to hire a bike/car to get around and look at the tourist attractions. Although there is a shop close by to get any essentials. We booked this for time to relax and we did exactly that! Отличная вилла, со всем необходимым, как в спальнях, так и на кухне и в гостиной. Небольшая, уютная территория. Беседка с BBQ и столом. Бассейн удобный и чиститься регулярно. Рядом паромная переправа с материком. До FM (mart) - 10 минут пешком. Да моря (МОРЯ!) - 3 минуты пешком. Die Lage ist für Ruhesuchende sehr gut. Wir hatten ein Auto gemietet und in wenigen Minuten ist man in Nathon, wo man alles bekommt. Der Nachtmarkt in Nathon ist hauptsächlich von Einheimischen besucht und nicht so touristisch wie an der Ostküste. Der Pool ist super in der Villa. Nachts ist man sehr ruhig. Das Personal ist sehr nett. 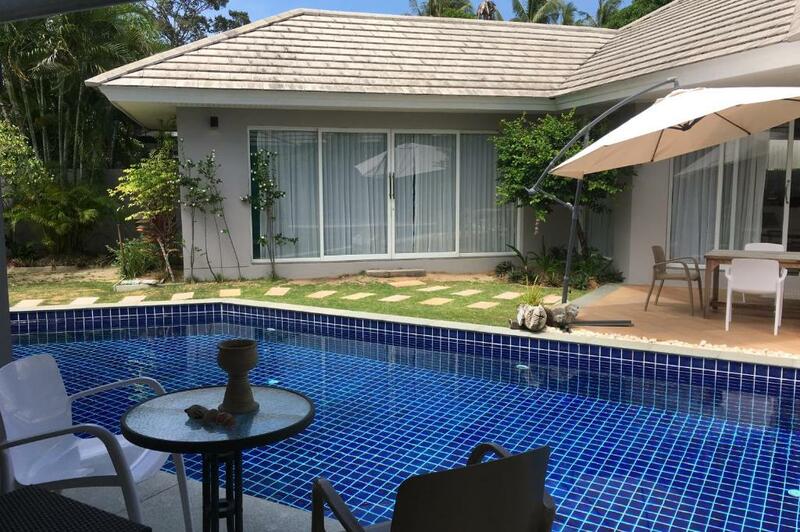 Tolle geräumige Villa am Lipa Noi Beach, sehr ruhig und kaum touristisch. Die Villa entspricht 1:1 den Abbildungen, perfekt um entspannte Tage ungestört zu verbringen. Voll funktionsfähiges WLAN, 3 TV, Netflixzugang, sowas hatte ich bisher noch nicht. Alle Vereinbarungen mit dem Manager wurden eingehalten, inkl. Abholung vom Pier und Bringservice zum Flughafen. Nach 5 Minuten Fußweg erreicht man einen kleinen Supermarkt und das beste Restaurant in der Ecke: Think & Retro. Wundervolle Küche mit Tischen direkt am Strand, einfach perfekt. La privacidad lugar muy tranquilo, vienen a limpiar la piscina todos los días, limpian la villa cada dos o tres días y cambian las sábanas y toallas. Estaba bien amueblado. La villa es muy linda. Lock in a great price for The Place Villas – rated 8.6 by recent guests! 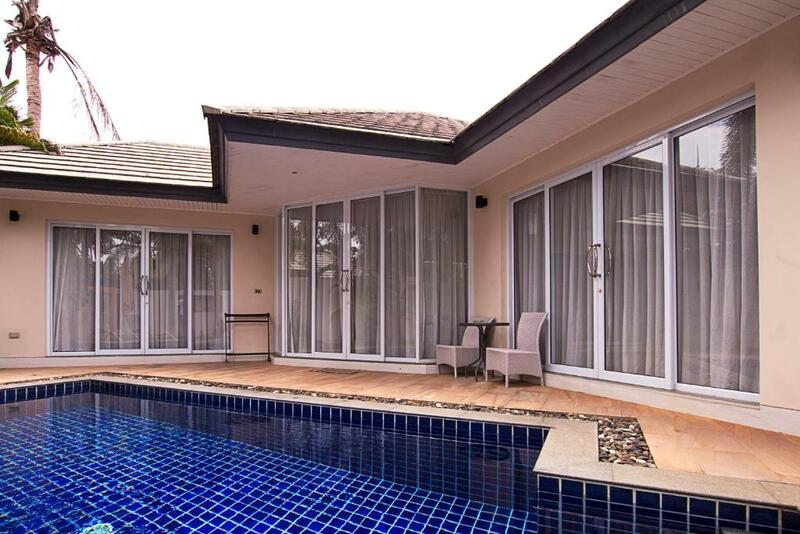 Located in Lipa Noi, just 350 feet from Lipa Noi Beach, The Place Villas offers multiple private and peaceful villas fitted with a private pool and free WiFi access in all areas. 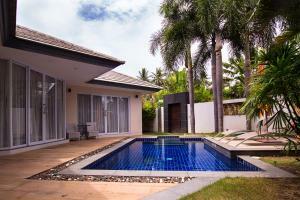 The villas are 1.1 mi from Niki Beach Samui, 0.9 mi from Lipa Noi Pier and 4.3 mi from Nathon Pier. 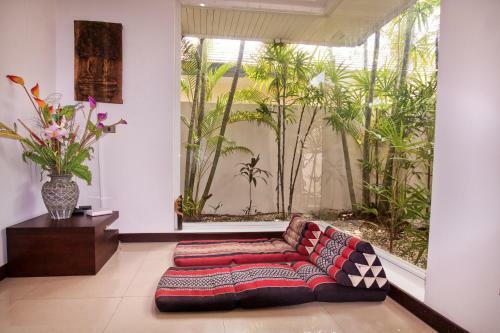 Featuring wooden furnishings and modern amenities, the villa comes with cozy air-conditioned bedrooms and an open-space living and dining area. 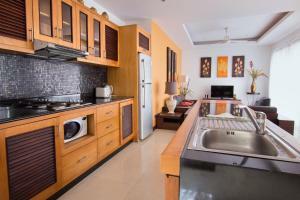 The villa also has a comfortable sofa set, cable TV and a fully-equipped kitchen. The private bathroom includes a bath, shower facilities as well as free toiletries. 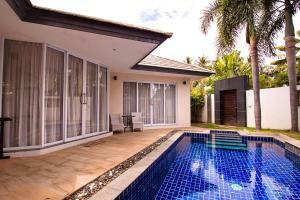 Guests can relax on the sun loungers by the pool and enjoy views of the garden at The Place Villas. For added convenience, The Place Villas arranges car hiring as well as airport transfer services at an extra charge. 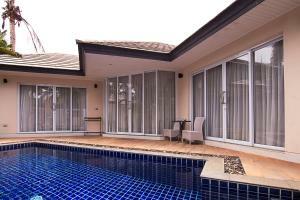 The villa is 5.8 mi from Na Muang Waterfall I. A 24-hour convenience store is 0.6 mi away, while Samui Airport is 19 mi away. Restaurants and massage salons are 1,000 feet from the property. When would you like to stay at The Place Villas? This villa features air conditioning, a fully-equipped kitchen and a private pool. This villa has a private pool and an open-space living and dining area. This villa has a cable TV, electric kettle and dining area. This villa has a toaster, kitchenware and kitchen. This villa has a dining area, private pool and electric kettle. Частный комплекс вилл на пляже Липа Ной, природа на этом пляже почти не тронута цивилизацией и является практически первозданной, так же этот пляж самое лучшее место острова для созерцания закатов. Каждая вилла имеет приватную территорию и бассейн. Первый раз приехал на остров Саму туристом в 2008 году, с тех пор мое сердце принадлежит этому прекрасному месту. В 2012 году переехал на Самуи на постоянное проживание, занимаюсь управление и арендой недвижимости. House Rules The Place Villas takes special requests – add in the next step! All children under 2 years are charged THB 400 per night in a crib. The property offers free limited electricity usage per day. Any exceeding consumption will be charged at THB 10 per kilowatt. A damage deposit of THB 6000 is required upon arrival – that's about 188.78USD. This deposit is fully refundable at check-out as long as there's been no damage to the property. Please inform The Place Villas of your expected arrival time in advance. You can use the Special Requests box when booking, or contact the property directly using the contact details in your confirmation. Too dirty inside house. Too dirty everywhere. Too many trash. Many insects inside house. 1. When I arrived they demanded cash only for payment. 2. The leather couches were totally flat. We sat on the floor. 3. The internet never worked, as well as the television service. 4. The Place Villa next door is a swamp full of frogs and mosquitoes. (See Photos) 5. The electric oven has no indicators of which burner is on. Must use your hand to tell which one is on. The only nearby shop is family mart so it is recommended to hire a car/motorbike to get around the island. When we arrived there was no drinking water in the villa so we had a hot walk to the shops. Nothing, it was exactly what we were looking for.